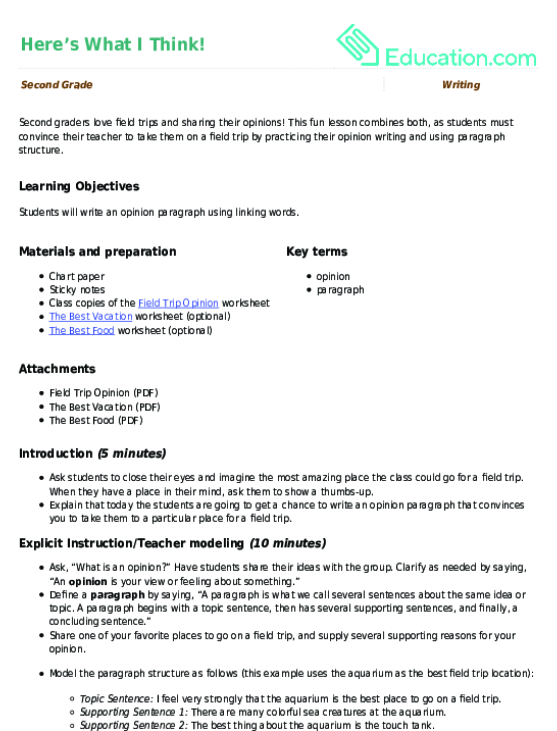 Pair this worksheet with the Where Do You Want to Go?Lesson plan. Partners should identify at least three parts in the narrative where three descriptive details could be added. Let this handy checklist guide students through a peer review conference! Students will check for correct punctuation, capitalization, complete sentences, and staying on topic. Students will look for a clear opinion, supporting reasons, a conclusion, and correct spelling and punctuation. Students will think about how much homework second graders should be given and make their case in essay form.